This mansion was built in the early 18th century and was renovated several times over the course of the century. 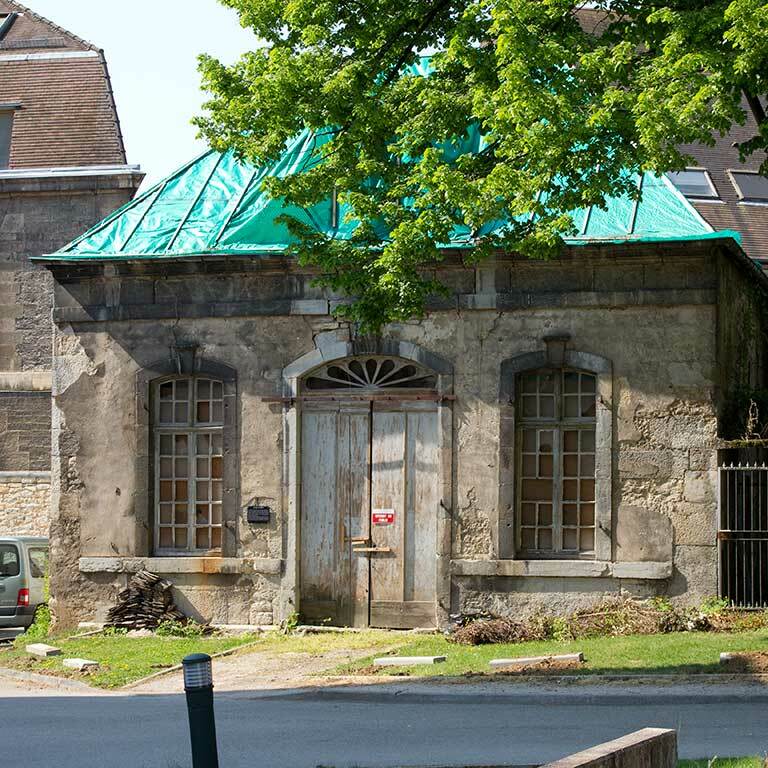 It was called the Michotey mansion after the man who acquired it in 1786; Sir Michotey was “président à mortier”, one of the principal magistrates of the “Parlement”. The central part of the street facade, slightly protruding, is topped by a triangular pediment. The windows, arched lintels decorated with keystones, have wrought iron railings. 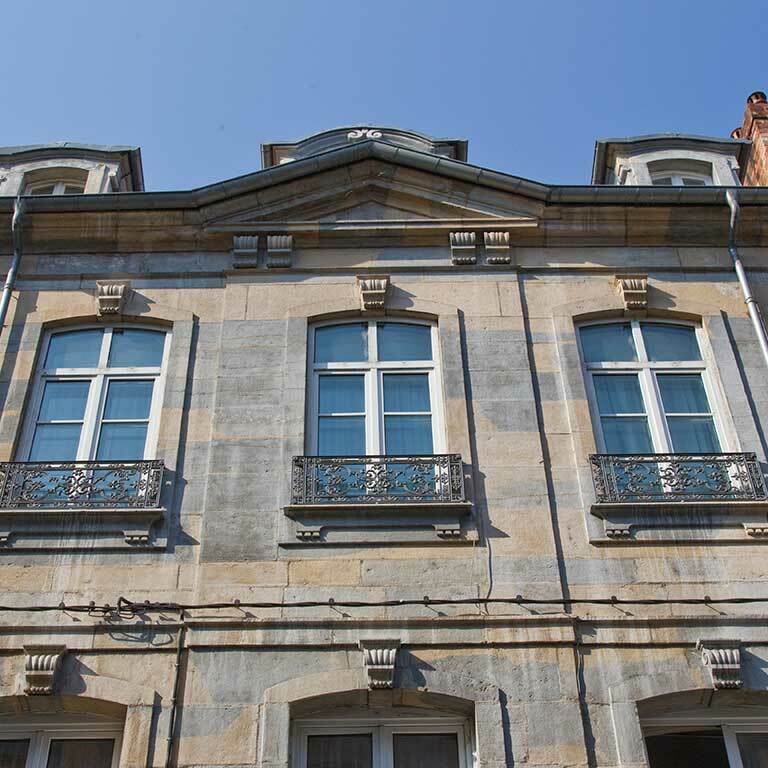 With the main dwelling giving onto the street, the secondary dwellings at right angles giving onto the courtyard and a staircase in one wing covered with shingle facade, this house is a good example of 18th century Besançon mansions. 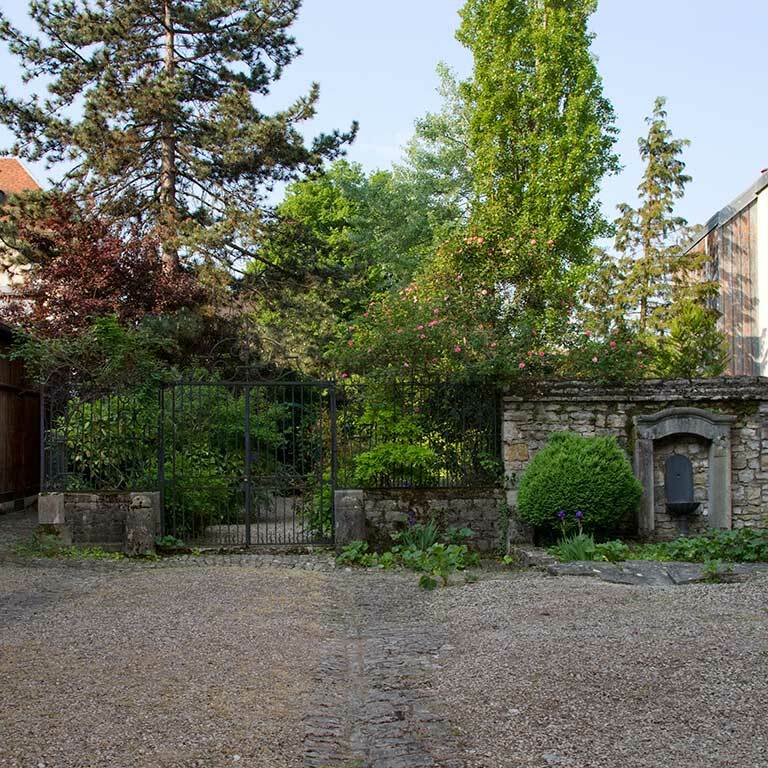 The courtyard includes a garden, enclosed by a wrought iron gate and fence. At one time, there was a music pavilion dating from the early 18th century at the back of the garden. It is now on the other side of the wall. 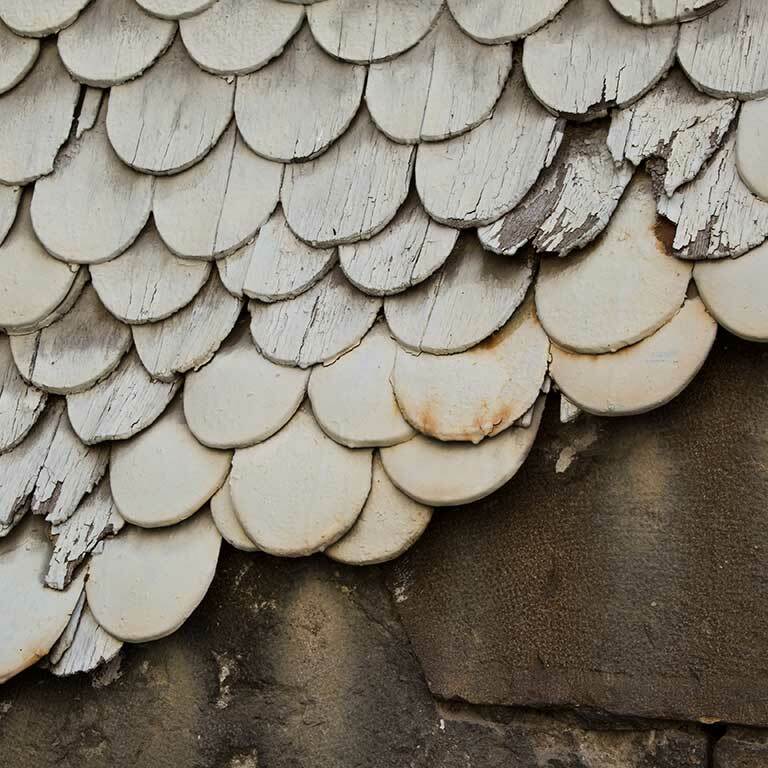 The pavilion was classed as a Historical Monument in 2007, and its elegant interior stucco decor has remained intact. 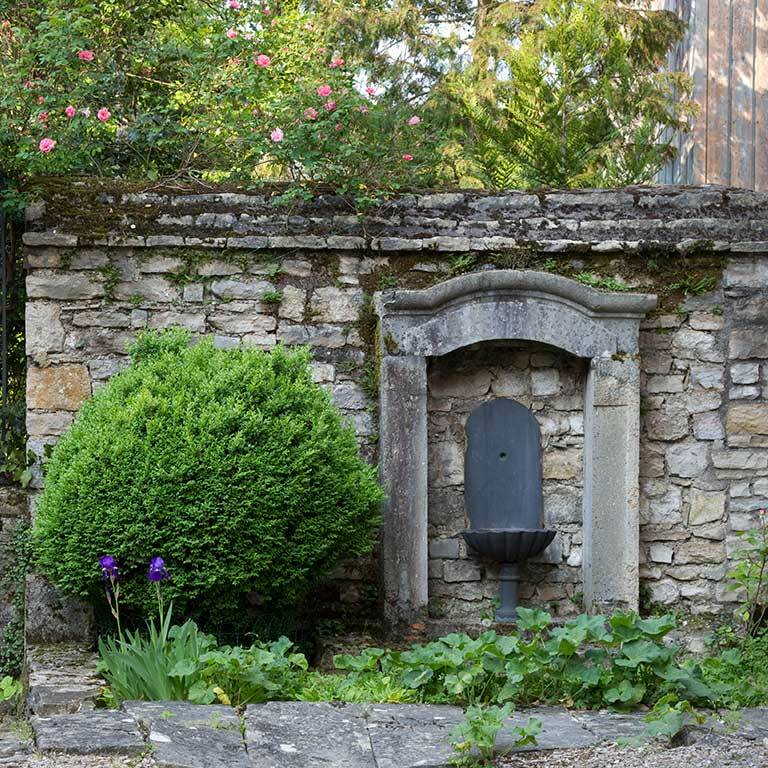 A ceramic-backed tap at the right of the garden fence is a reminder of the water supply system put in ​​by the town in the mid-19th century. A water point was installed in each courtyard, making daily life easier for Bisontins. Before that time, they had to get their drinking water from public wells or fountains, which can still be seen in some city streets.